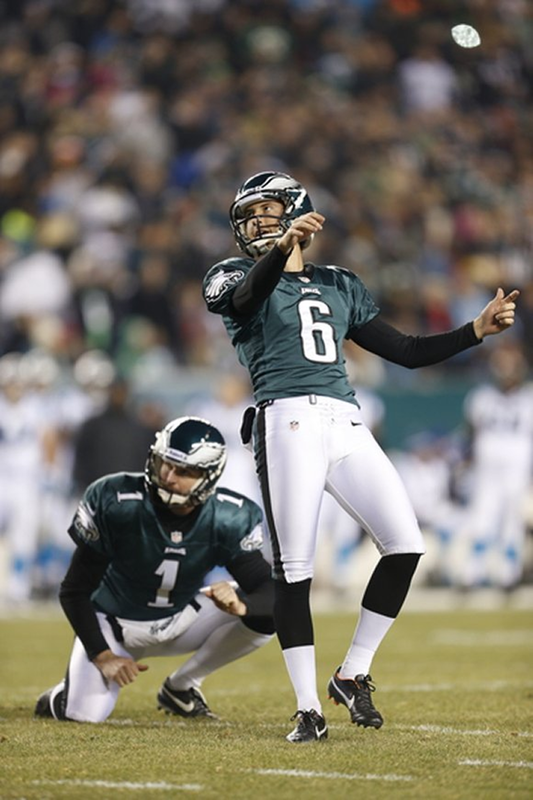 Kicker Alex Henery has quietly been putting together an impressive career with the Eagles. Last season, he set a team and NFL rookie record by hitting 88.9 percent of his field goals. Henery continued rewriting the team history books on Monday night. After connecting on three field goals, Henery has hit 19 in a row, an Eagles record that he previously shared with David Akers. Henery has been nearly automatic throughout his career, connecting on 44 of 48 field goals since last season. Over the last two seasons, Henery has become the second-most accurate kicker in the league, trailing only Jacksonville’s Josh Scobee. This year, Henery has missed just one field goal attempt. The conditions Monday night were ideal. Plus, Henery works with two former Pro Bowl selections, long snapper Jon Dorenbos and punter/holder Mat McBriar. "Today I hit everything in pregame; I don’t think I missed even one. I hit the ball well today and our rhythm was good," said Henery, who was successful from 36, 41 and 45 yards. "A lot of credit goes to Jon and Mat for making things smooth. There is a lot more that goes into it than just me kicking it." When asked about his accomplishment, Henery was unfazed. Such is the life of a kicker. "That is not one of those things I look at," he said. "It’s a cool honor, but I have to concentrate on the next kick, not the last one. "This is a team sport, so how the team does is more important than how an individual does. I just do what I can, but we have to get the win. That is what matters."